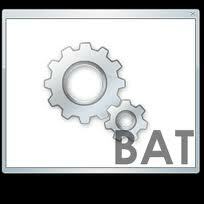 4) End the file name with .bat as the extension For instance, you might save a test file as "test.bat". 5) Click Save. If you did this correctly,you should see your file name on title bar of Notepad.